Independent cleaners’ union CAIWU report that Keir and ISS, two of the UK’s largest facilities management companies, have launched a co-ordinated offensive against militant cleaners, with six workers at the Royal Opera House and two cleaners at HSBC facing dismissals, suspensions or other disciplinary threats. All eight workers facing victimisation have been active in recent CAIWU campaigns. In response to this attack on organised workers, CAIWU will be holding half-hour protests outside the Royal Opera House every evening throughout March until the sacked workers are reinstated, starting at 7pm most nights. CAIWU also have a report from their very busy international women’s day, when they held events targeting four different employers who’ve victimised cleaners. 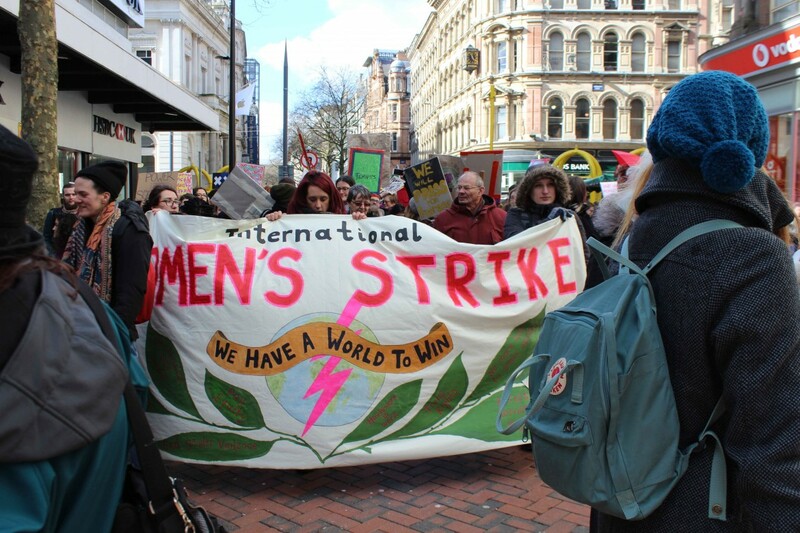 The IWW also have a report about their members’ involvement in IWD and Women’s Strike-related events across the UK and Ireland. Meanwhile, staff at Al-Jazeera English are currently balloting for strike action over pay, as there’s been no real pay increase for staff since 2014. At Hinckley Point, where building workers were sent home due to the “Beast from the East” making it unsafe to work, workers were initially told that they wouldn’t be paid for the days the project was closed, and so they immediately launched a two-day sit-in, which has now ended after they’ve been assured that they will be paid in full for the missed days. In Bromley, library staff and care workers have both voted for strike action over issues like pay, staffing levels and health and safety, with workers at both services complaining that conditions have got worse since the council sold them off to private contractors. Strike dates still haven’t been announced for the upcoming action by cleaners demanding a real living wage for cleaning the Daily Mail’s offices, but you can donate to their strike fund here. There’s also quite a number of disputes that are currently in the middle of strike action. For instance, at Fujitsu, where workers have been carrying on a long struggle to defend whistleblowers and other union members being victimised by management, staff at the Manchester site are currently out on strike until Wednesday 21st March, and will then be out again from Thursday 29th March-Friday 6th April. Similarly, workers at United Utilities in the North-West walked out on Friday and will be staying out on Monday 19th, as well as carrying out action short of a strike when they go back, in response to management attacks on their pension scheme. In the London borough of Newham, staff at three schools held three days of strike action last week as part of a campaign against academisation, and will be out again from March 20th-22nd next week. Tuesday 20th will also see at protest by staff at the British museum, whose contracts were transferred over to now-defunct outsourcing company Carillion, demanding to be brought back in-house. The very long-running “keep the guard on the train” dispute against driver-only operation of trains will also see a few more days of strike action on Northern Rail, with staff out on Monday 26th and Thursday 29th, and staff on South Western taking (somewhat oddly-worded) action over the Easter bank holiday weekend. In another, less high-profile UCU dispute, staff at 12 Further Education colleges, mainly in London but also in the West Midlands, will be taking two or three days of action starting on the 27th or 28th of March. 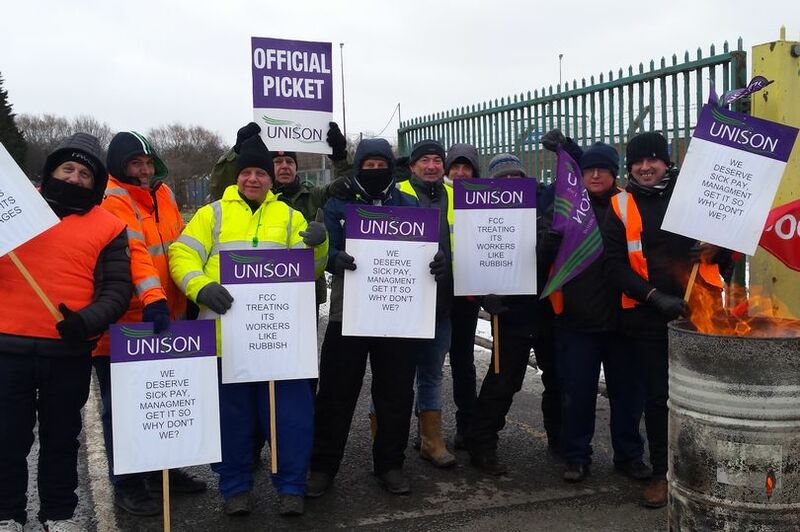 Further into April, waste transfer station workers at FCC Environment in Hull have been striking in sub-zero temperatures in a dispute over pay and sick pay entitlements, and reports suggest that they’re likely to go out again for two weeks starting on Good Friday. And towards the end of April, on the 25th and 26th, over 100 outsourced cleaners, porters, receptionists and other staff at the University of London, organised through the independent IWGB union, will be staging the biggest ever strike by outsourced higher education workers, demanding that the university employ them directly, and give them terms and conditions equal to all other workers at the institution. You can donate to their strike fund here. Finally, a few other events that may be of interest to readers: on Monday 19th March, Bristol IWW will be holding a discussion for couriers on how to organise and win against companies like Deliveroo, on Saturday 24th Plan C London are holding a day school on “capital, critique, communism”, and on Sunday 25th the newly-formed Anarchist Communist Group will be holding a discussion on “London in struggle”. This entry was posted in Gender, Occupations, Protests, Strikes, Unions, Work and tagged Anarchist Communist Group, CAIWU, Fujitsu, Industrial Workers of the World, Plan C, rmt, The Daily Mail, UCU, unison, unite, United Voices of the World, University of London. Bookmark the permalink.